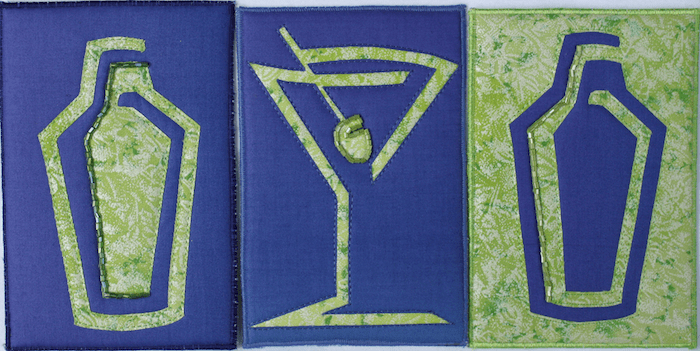 This trio of postcards were created using a positive/negative quilt technique. The design is carefully cut so that two blocks are created. The martini shakers are created from this technique as are the martin glasses, although only one martini glass is shown.